But only one is the correct choice. Just kidding. Just signed up - Plenty time for indecisiveness between now and Feb! Im in, I have the Cyberhobby kit # 6626 flak Panther ausf D, for the 653,with some Griffon sets. I'll add my name too, though I haven't decided what yet, have to look through the stash and see. I'm in. I have yet to decide on the kit. I'm probably in. I'll narrow it down to something before it starts. What-ifs...Sci-fi? You know I had to ask. Sounds like a great one for 2018. I'm in. I'm in, too - I was going to severely limit my number of campaigns next year, but this is too interesting and the dates couldn't fit the academic calendar more perfectly. Dragon's Schwerer Panzerspahwagen, Aber PE, JB Model bumpers, and of course Verlinden's Kugelblitz. Ditto - Looks very cool. Pick a kit and participate. You are ready for the next 3 AA Campaigns !!! 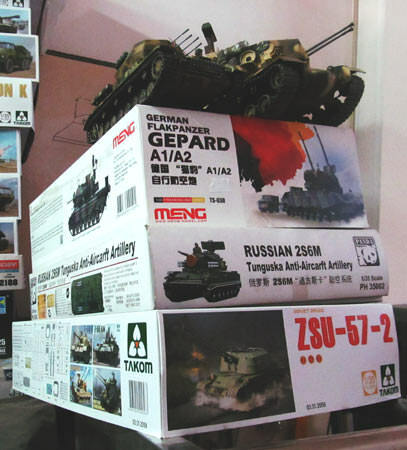 I'm a visitor from Aeroscale, but I also build land vehicles with pleasure. If you accept newbies, I would gladly join in with Soviet GAZ truck with 72-K cannon in 1:72 scale. The KS-19M2 AA gun went to the Trumpeter Mk.4 Campaign (together with it's prime mover-the ATS-712). For this Campaign, I will build the 8,8 cm. 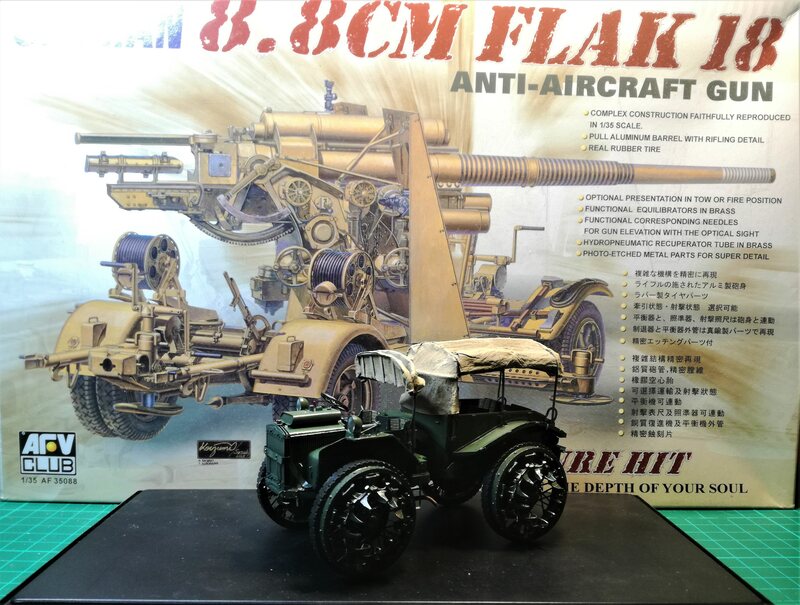 FlaK 18 from AFV Club. Shrimpman, I have a soft spot for WWII era Soviet AA Guns. I will love to see your build. I'm in too. I'll build Flakpanzer T-34(r) (German captured T-34 conversed to 20mm flak gun) in 1/72 bu Um models. I have not seen such a variant of T-34. Or I do not think right now. I would be interested in tracking the progress of your project. Removed by original poster on 01/16/18 - 15:00:00 (GMT).